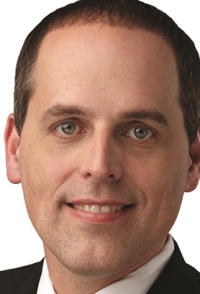 Popchips' Marc Seguin speaks to Lindsay Stein about how the brand breaks through the clutter in a crowded market and its plans for the holidays. How are marketing and communications structured at Popchips? As the CMO, I run all facets of comms and marketing, including PR, internal comms, as well as the brand, promotions, digital, and social media units. I also oversee work with our outside agency partner, Third Street Media Group, as well as efforts with digital firm RMG and ad agency Dandelion. Do you engage fans a lot on social media in real time? Absolutely. Social media is where most of our consumers live. Millennials, in particular, are pretty much being engaged via this medium on a 24/7 basis. We take our brand voice and create interesting content we can publish and share with consumers. Then we find places to participate in ongoing conversations, whether it is a holiday or something topical. What we do is 50% publishing, 50% real-time marketing. We’re always looking for opportunities to have ongoing conversations with our fans. If somebody talks about us on Twitter, Instagram, or Facebook, we try to respond to their posts and make sure the conzersation stays engaging. In mid-June, we had our first event to support our July 4 Crazy Hot barbeque summer events, which was for the launch of our new spicy hot flavor. We partnered with Weber Grills and 20 bloggers, which resulted in hundreds of people posting pictures of them enjoying the new product, while using #EatTheHeat or #PopChips. The healthy snack market is increasingly crowded. How do you break through the clutter to make an impact? We have to make sure we stay relevant from a product and messaging standpoint. We really reinforce to consumers that there are products in the better-for-you space that are truly delicious. It’s strange that some consumers approach this market by basically shrugging and saying to themselves, "I know it’s not going to taste as good as the stuff that’s bad for me, but I guess I’ll take it." They make this conscious acceptance of something that is not tasty because they know it’s better for them. We work hard to remind them it’s not a sacrifice they have to make. Popchips are as delicious as the bad-for-you stuff and they’re better for you, so why not hold all things in the category accountable to great taste and better for you? If we continue to take that message to consumers, keep manufacturing products that stay true to great taste and are better for people, and stay digitally engaged through compelling stories and products, we have a real chance of being a long-term leader in the better-for-your space. How did the brand’s first TV ads do last fall and will you do more this year? It went really well for us. We had a great response from a consumer standpoint and our awareness was up into double digits. Our metrics around the core message of better for you improved among consumers who knew us, and purchase intent for those who saw the ads went way up. 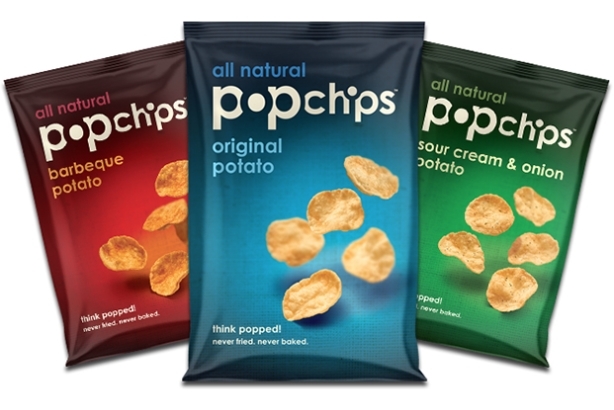 It also started to shift the sands with our retail partners that may have thought Popchips was not as relevant as it had been in the last few years. As a result of shifting the mindset, we’re back in front of consumers and retailers in a meaningful way. This summer, we’re doing locally targeted TV ads and, as we move into the rest of this year and next, we are going to look at how we can layer on even more direct-to-consumer conversations, such as TV. Are you looking to expand in any regions this year? We are pushing hard in the UK as it’s a big piece of our business. Historically, the region is one of the highest indexing chip snackers in the world – or crisps – as they call them. At the end of 2015, we will look hard at where else we can develop additional markets, whether it’s Mexico or elsewhere in Europe. Once we get our base business in the US, Canada, and the UK solidified, there’s a lot of opportunity for us to grow internationally. What are your biggest goals for the rest of the year? To continue to launch our new products, such as Crazy Hot. We have a couple of new products coming out in September that we will be push, including Boardwalk Kettle Corn and Cinnamon Twist Sweet Potato. We’re calling it sweet September. We also want to push into the last quarter of the year in a way we haven’t before. The better-for-you category typically drops off in the fall as consumers think less about better eating and more about the holidays. Our bad-for-you chip competitors do well during this time, so we have to tell consumers if they are being indulgent during the holidays, there is no reason why they can’t have a bowl of chips that’s better for them than the full fat, artificial flavor alternatives. When you’re family and friends come over, you don’t have to feel like you’re skimping on anything from a taste standpoint. We really want to try to do something in the category that has not been done well yet, which is own December.